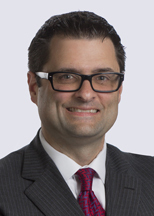 Matt Disbrow is a labor and employment attorney who advises clients concerning a wide spectrum of employment matters, including wage and hour issues, overtime issues, executive employment and compensation, employment discrimination, and other related issues. He represents employers in federal and state administrative proceedings as well as trial and appellate courts. Matt's clients include automobile manufacturers, automotive suppliers, lending institutions, technology companies, property management companies, hospitality companies, and building contractors.